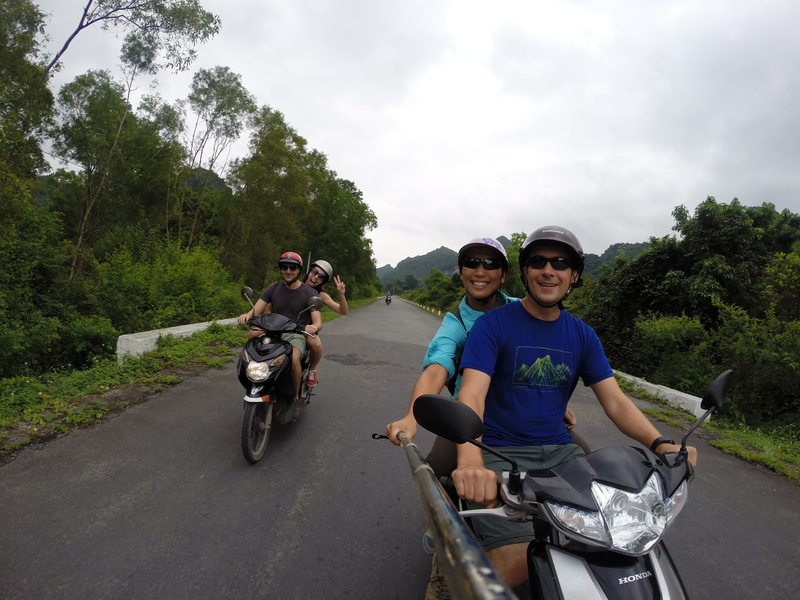 After Phong Nha, we spent a couple days back in Hanoi to hang out with friends. I even had an old Vietnamese American friend from high school visiting Hanoi at the same time, so we made time to hang out too. 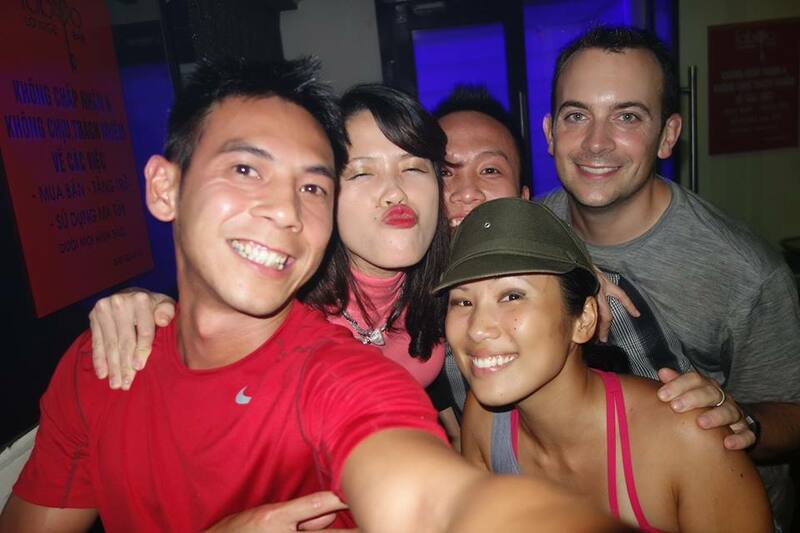 It’s always fun hanging out with friends from back home in a foreign country. I even bought an entire outfit to go out in – a hat, shirt, and pants, all for a total of $9 (no bargaining needed)! 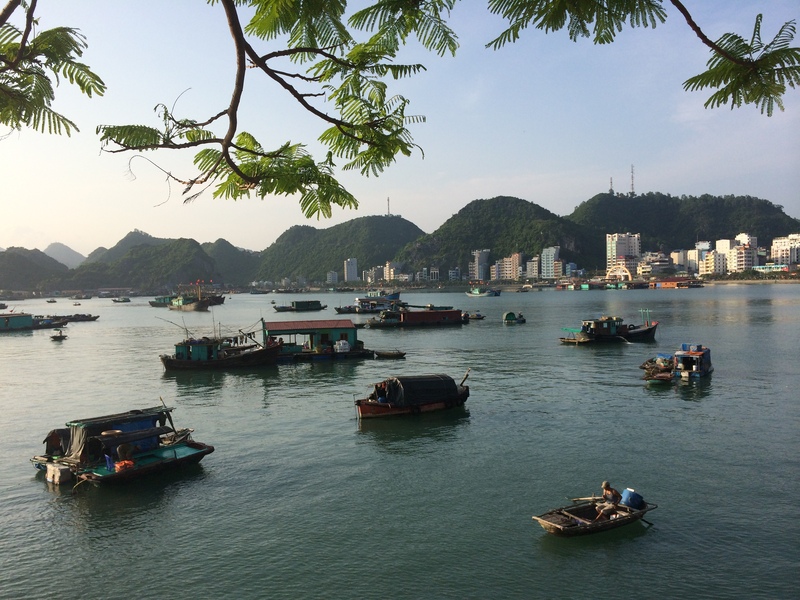 For the next 3 days, we spent our final days of Vietnam on Cát Bà Island, the largest and only inhabited island in Ha Long Bay. 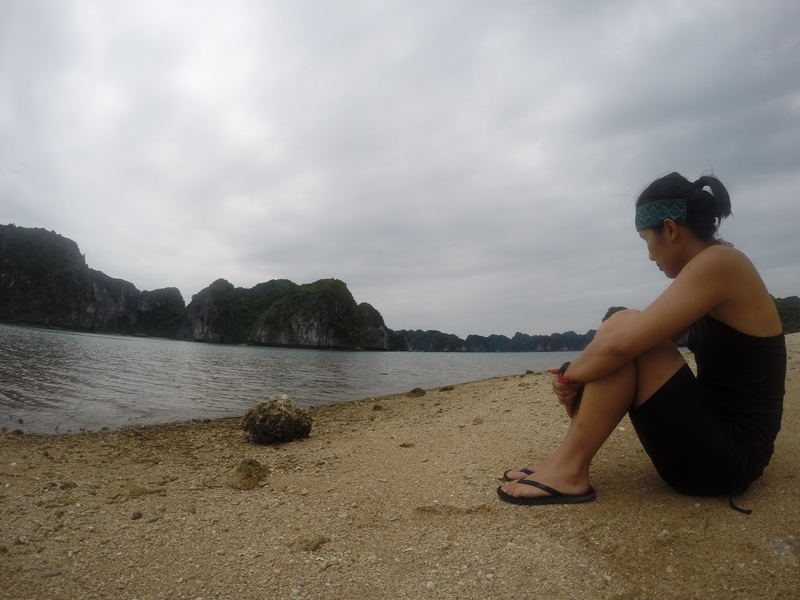 This island is about a 5 hour excursion northeast of Hanoi, by bus and ferry. 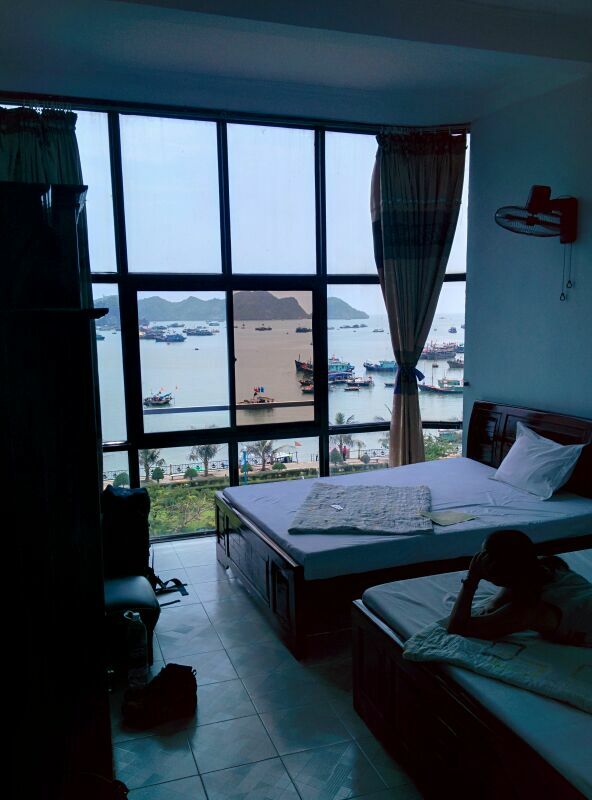 We upgraded our room to the $15/night room with the sea view. “Because we’re worth it,” Chris quoted. The views in the town of Cát Bà Island were absolutely stunning. 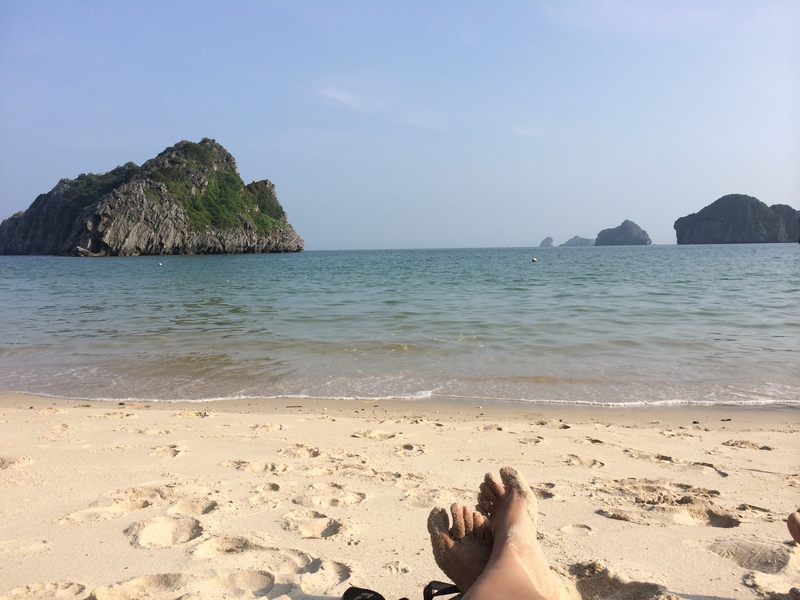 I agree with the statement that spending some time here is a vacation away from vacation – a lovely, relaxing escape away from the hustle and bustle of Hanoi. 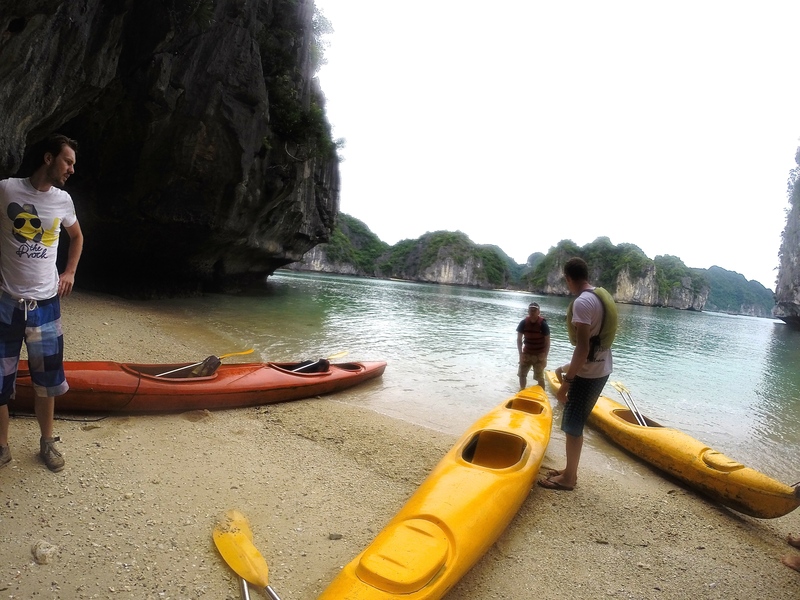 There are three sandy beaches in Cát Bà Island. We spent our first day lounging and swimming at the beach with crystal clear water and warm, gentle waves. 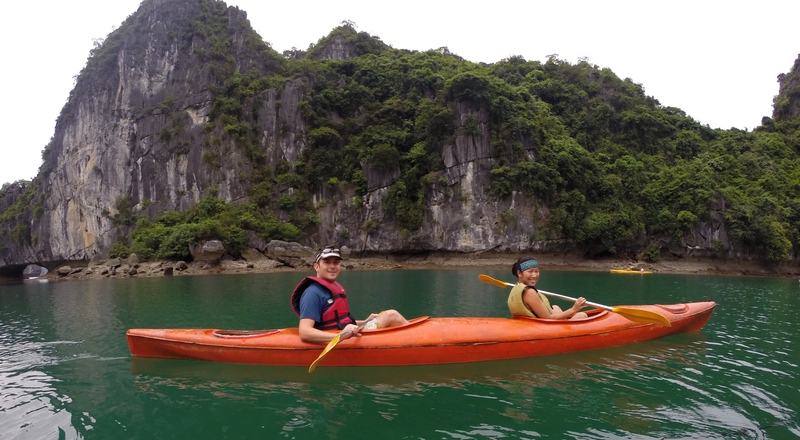 We spent our second day kayaking in the infamous Ha Long Bay. 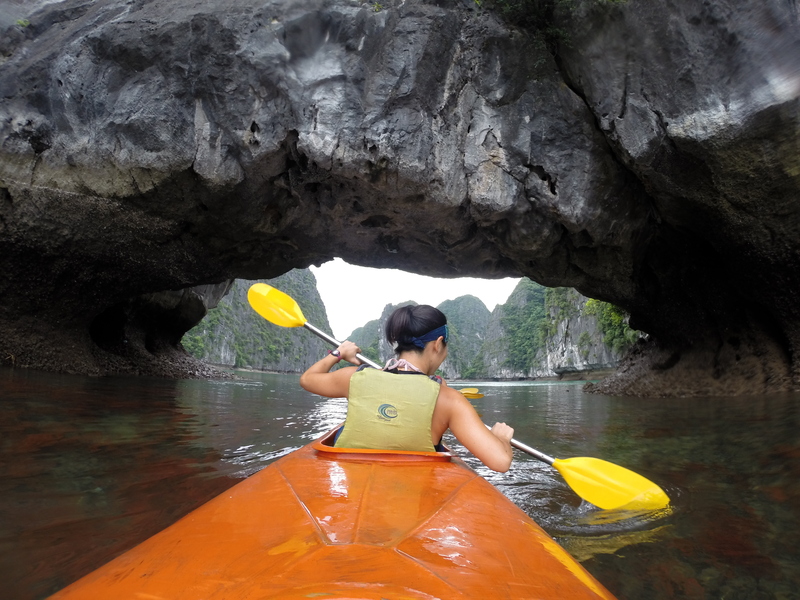 It was breathtaking to glide across the warm, calm waters of Ha Long Bay, under crevices and into hidden lagoons. 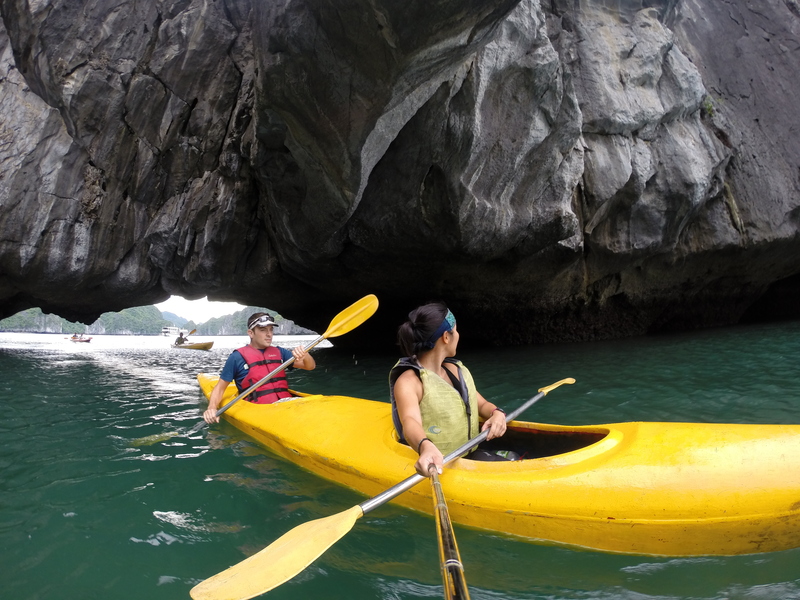 Kayaking in Ha Long Bay wasn’t the most amazing experience that day, however. What made the experience the most rewarding was our rare, once in a lifetime encounter with one of the most endangered primates in the world: the white headed langur. 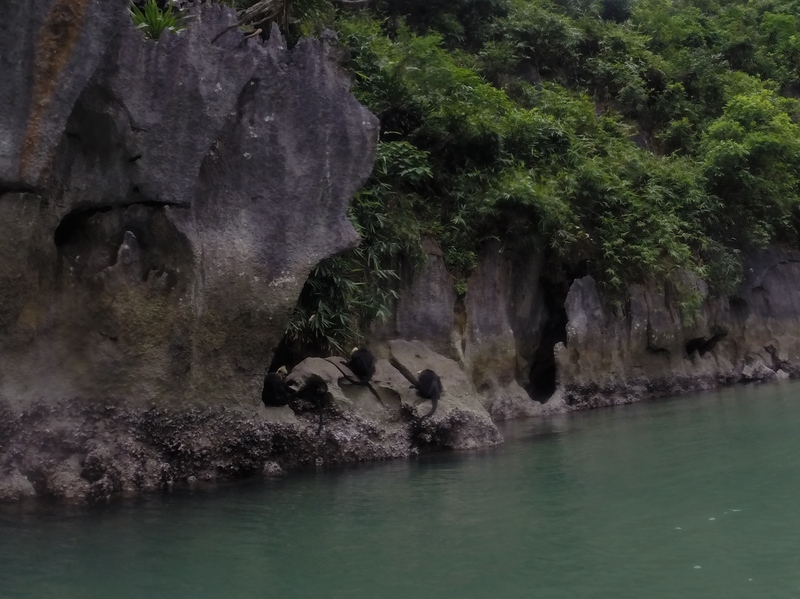 There are only 68 white headed langurs remaining, and they only live in limestone forests. 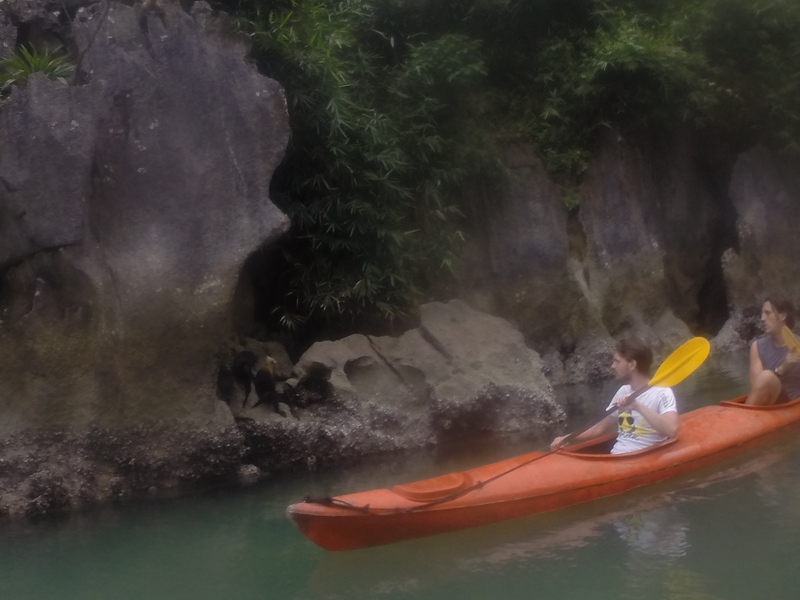 A French couple in another kayak spotted the monkeys from a distance and pointed in the direction of the rustling trees. 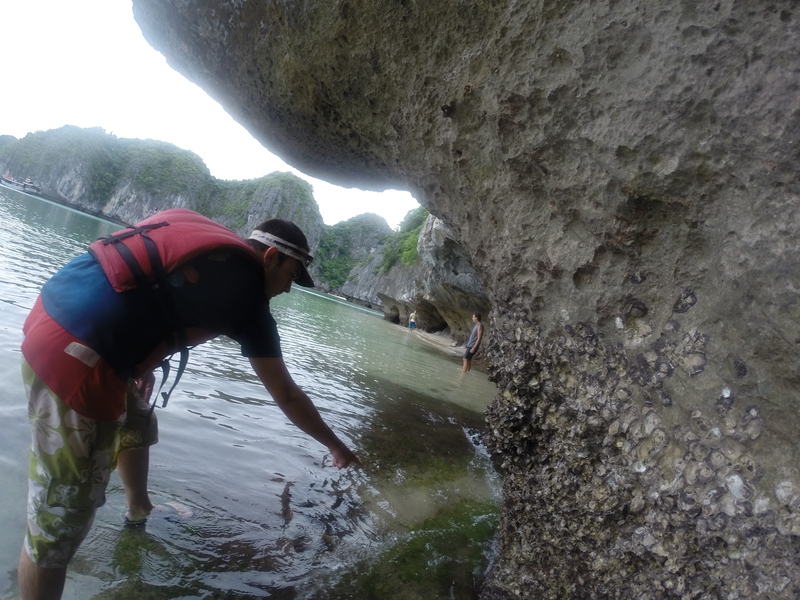 We searched the limestone forests and sure enough, we saw movement. At first, we thought we would only see one or two from a distance, but the closer we got, the more we saw. 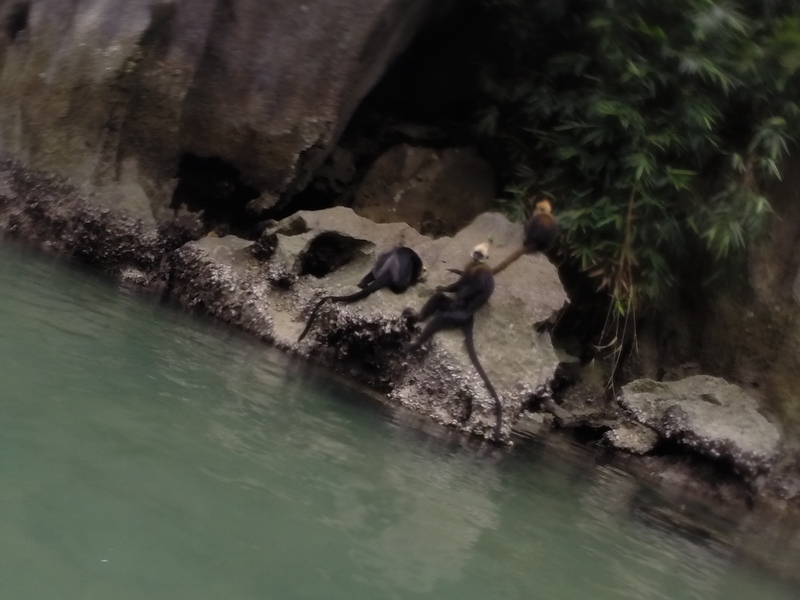 In total, we saw 10 langurs. They didn’t seem to mind our company, and they sat, played, and ate as we watched from the mere distance of about 2-3 meters. 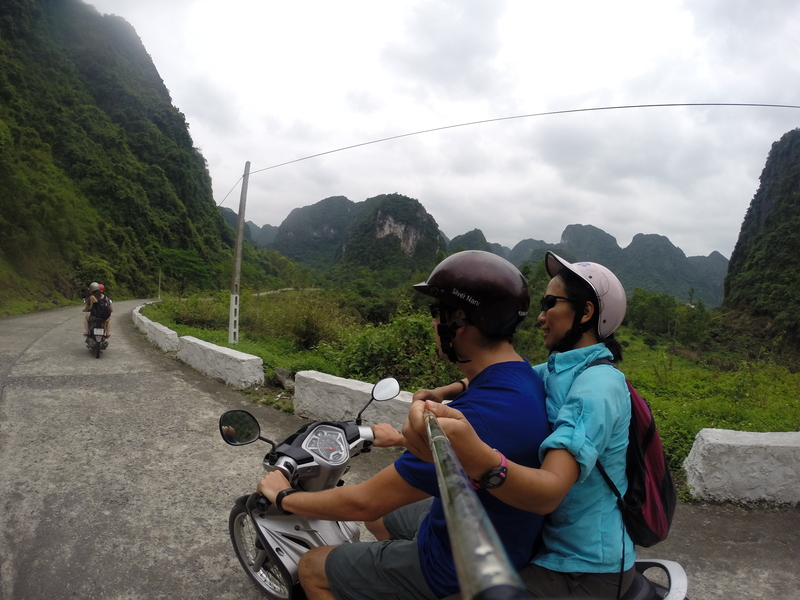 On our third and final day, we rented a motorbike for $5 and cruised all over the tiny island to take in the views. We befriended a couple from England during our exploration. Fabulous. Peaceful. Amazing. Beautiful. Relaxing. 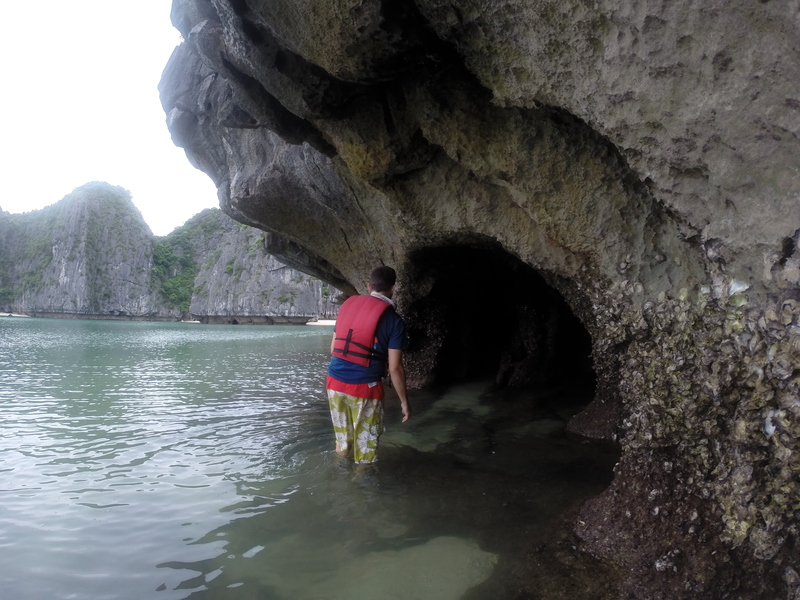 THAT is Ha Long Bay. We spent our last day in Hanoi doing things we love most – walking around the Old Quarter, eating our favorite snacks at our favorite restaurants. 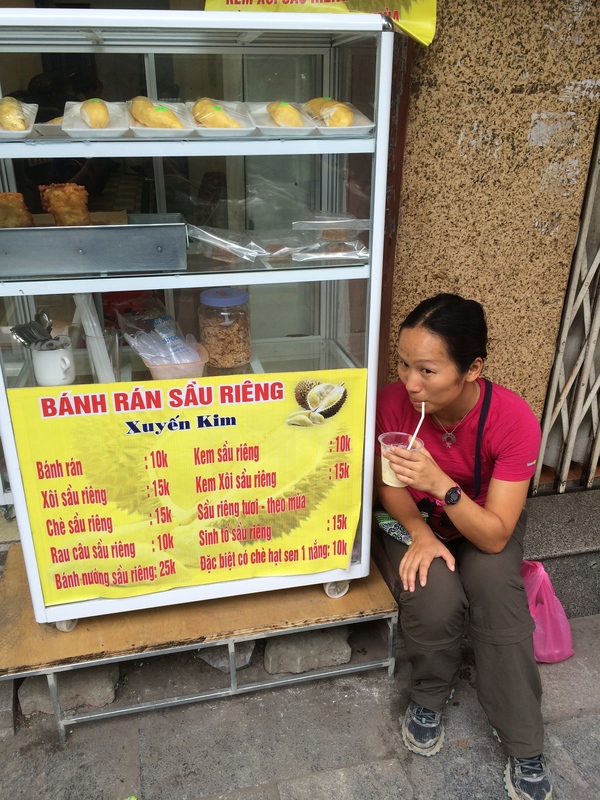 Chris and I even grew fond of durian shakes. 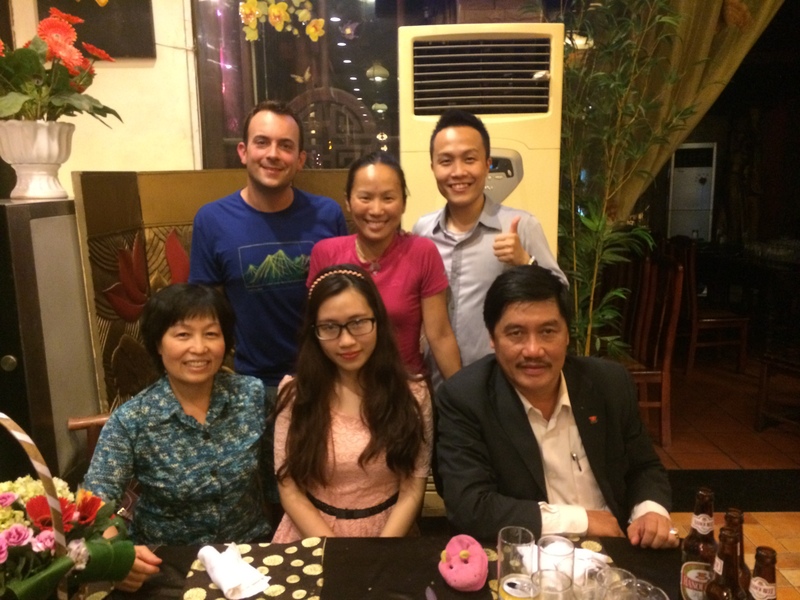 Our last dinner was a lovely farewell dinner with Bao and family. It was a special evening of sharing our stories about our travels, and stories about our family (grandparents) when they were younger. 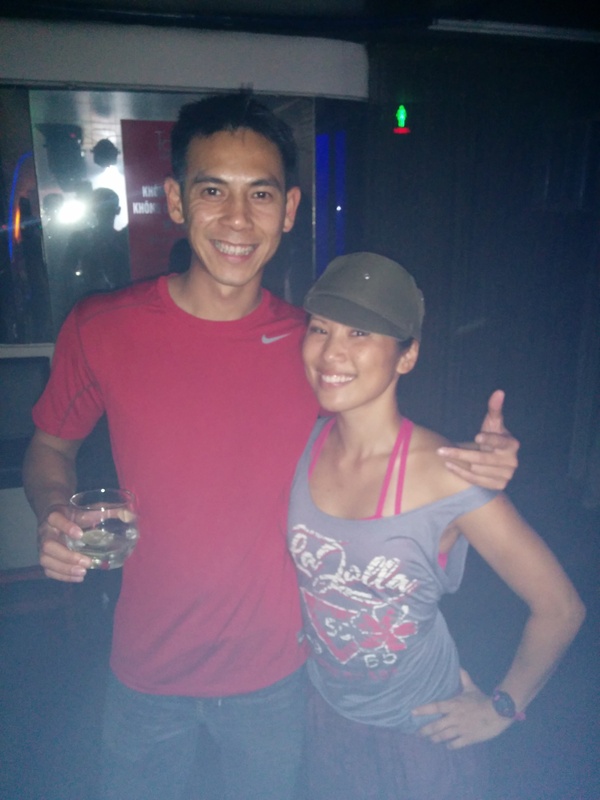 Thanks again so much Bao for your company and help during our stay in Vietnam! 7 weeks were spent in Vietnam. 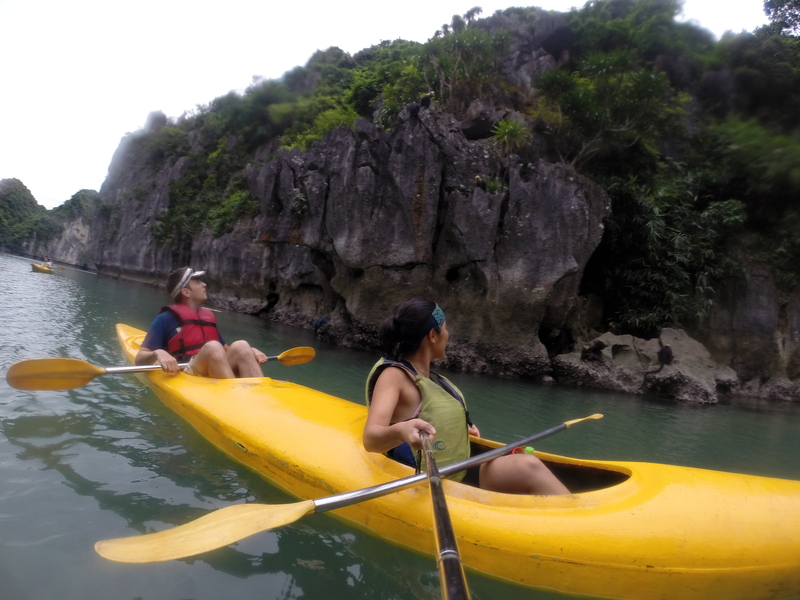 Vietnam definitely grew on both of us and is no longer outside of our comfort zone. Chris’s Vietnamese has greatly improved (he can order most foods and coffee all on his own now, in Vietnamese! ), and oh, mine has improved too. =P The sad thing is, 7 weeks were not enough. But, we must continue the trip to Malaysia and the rest of Southeast Asia to see what else is in store for us. 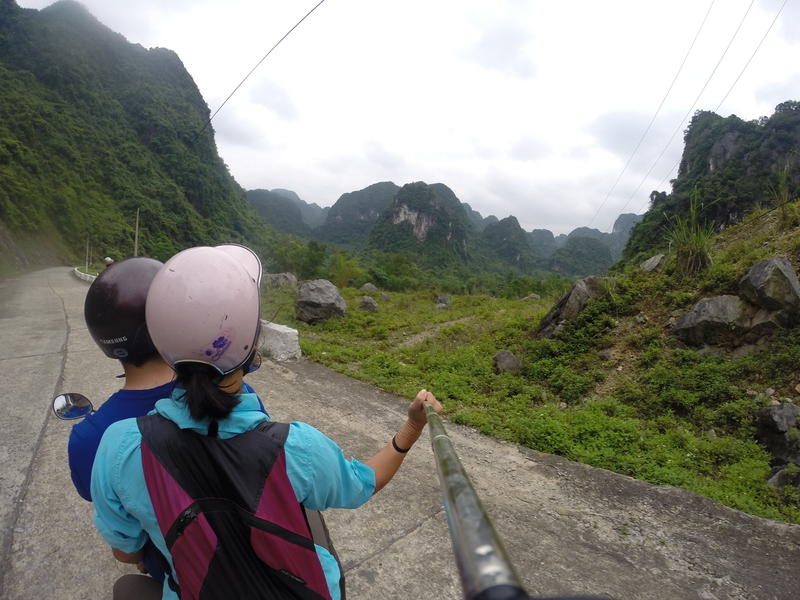 Vietnam is such an awesome country, and I’m not just saying that because I am Vietnamese. It truly is a wonderful place, with so much to do crammed into a tiny country. We will definitely be back, again and again, for hopefully longer periods of time. 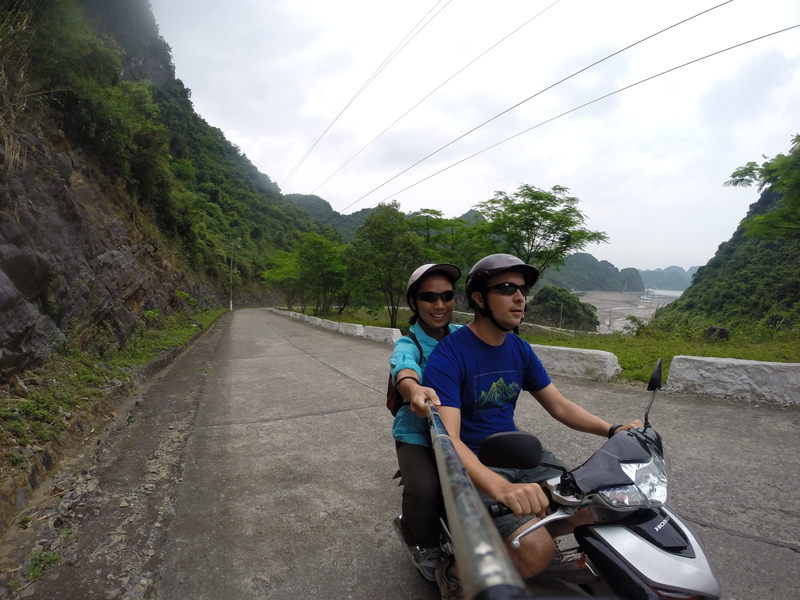 We love you, Vietnam! 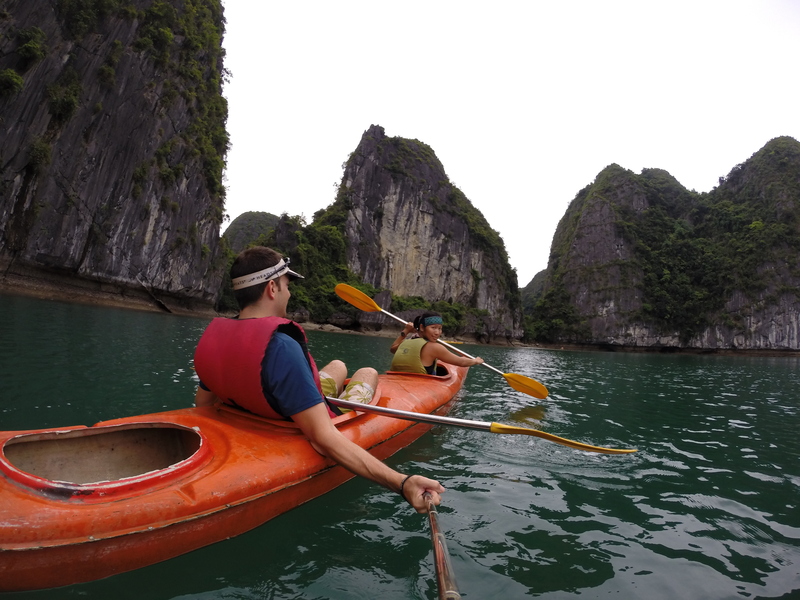 This entry was posted in Vietnam and tagged Cát Bà Island. Bookmark the permalink.